Bones continued. | Leasa's Place. Chef Willis was kind enough to offer some tips already. More meat added, carrot cut smaller and the addition of celery. 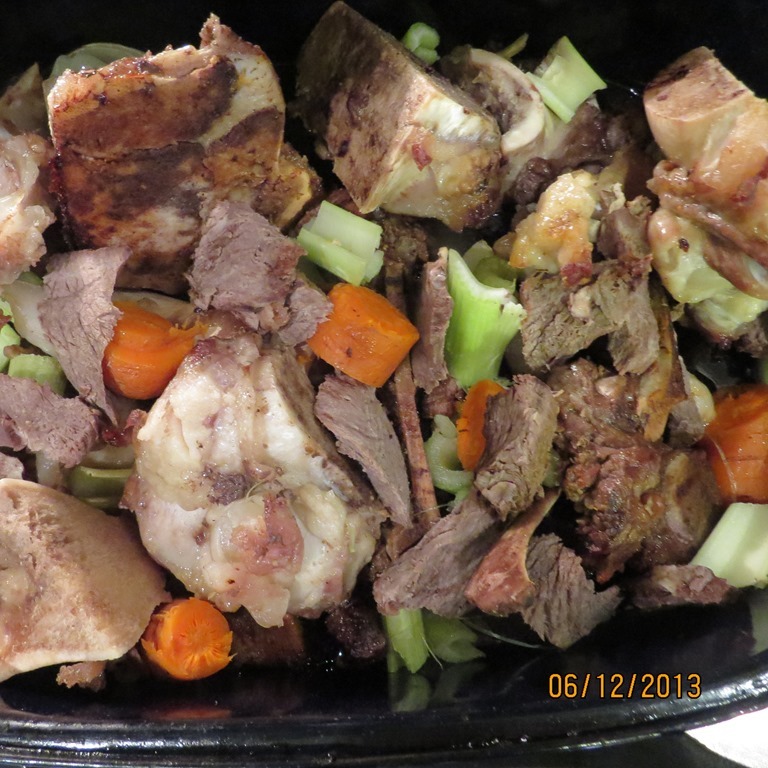 Going forward…..
← Beef Broth. First time out.